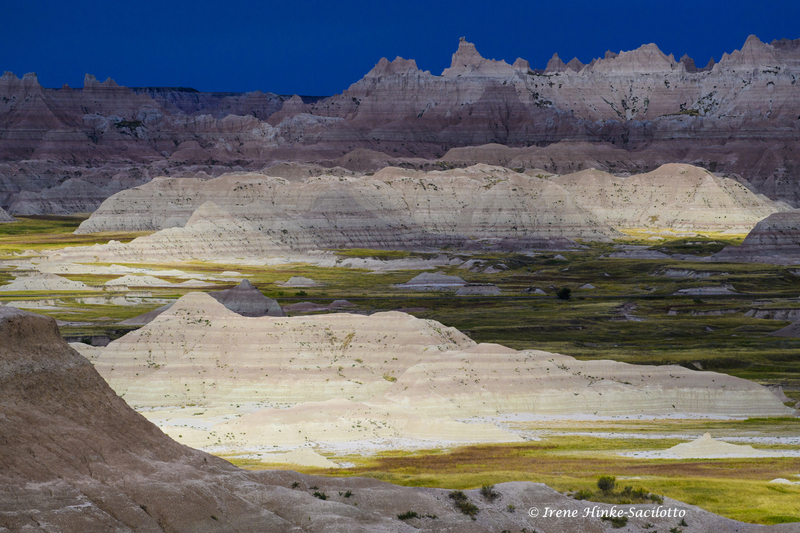 Badlands National Park is a terrific destination for landscape and wildlife photographers. It is the location of my June 2017 photo workshop, co-lead by Sandy Zelasko. 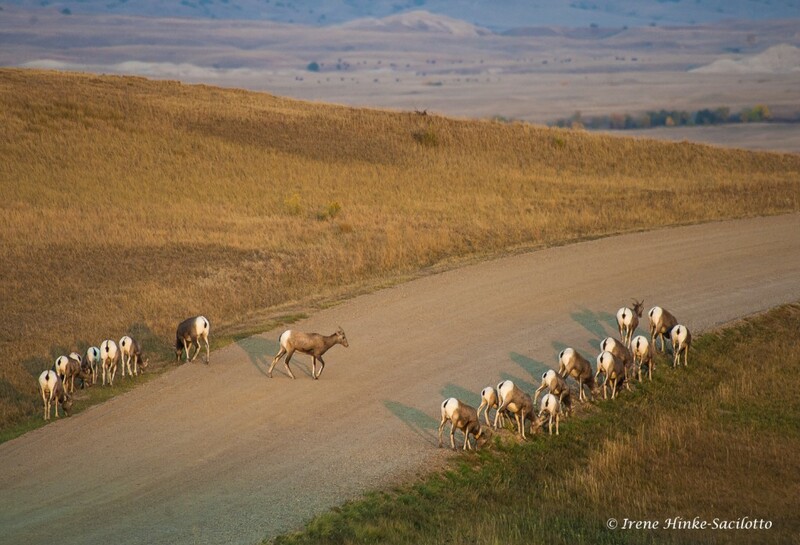 The park is a convenient hour drive east from Rapid City on Interstate 90. North of the Pinnacles Entrance lies the town of Wall where you can find accommodations and other amenities. Near Cedar Pass, at the eastern end of the park, there are campgrounds, cabins, and a few other places to overnight. 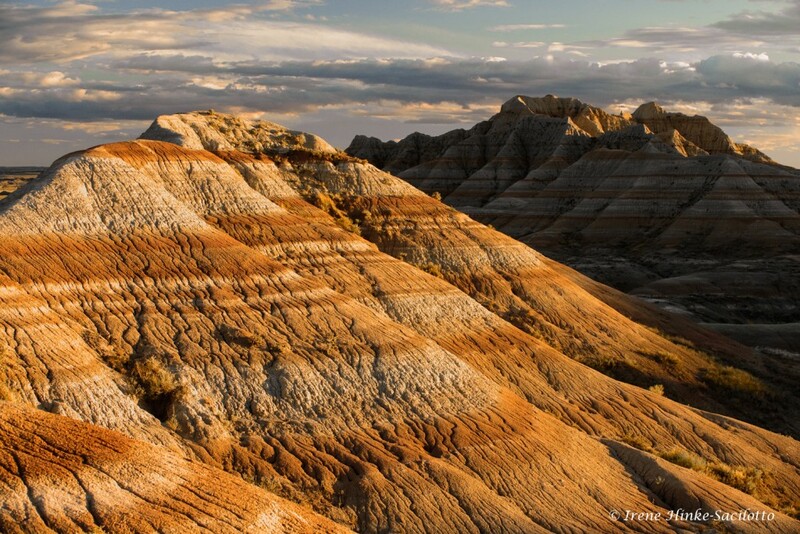 Once the site of an ancient sea, the South Dakota Badlands have been transformed over thousands of years by wind and rain into the land you see today. 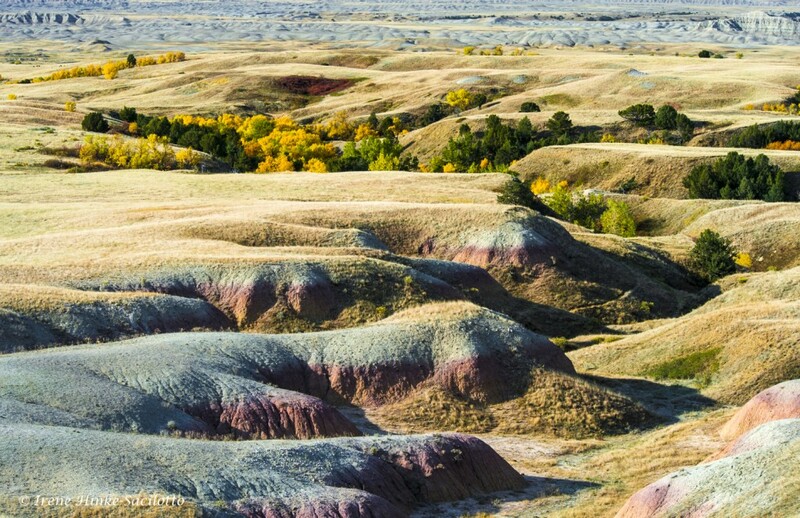 Layers of sediment and ash eroded away leaving behind a rugged landscape with red and tan banded buttes, jagged escarpments with narrow gorges, and brightly colored yellow mounds. 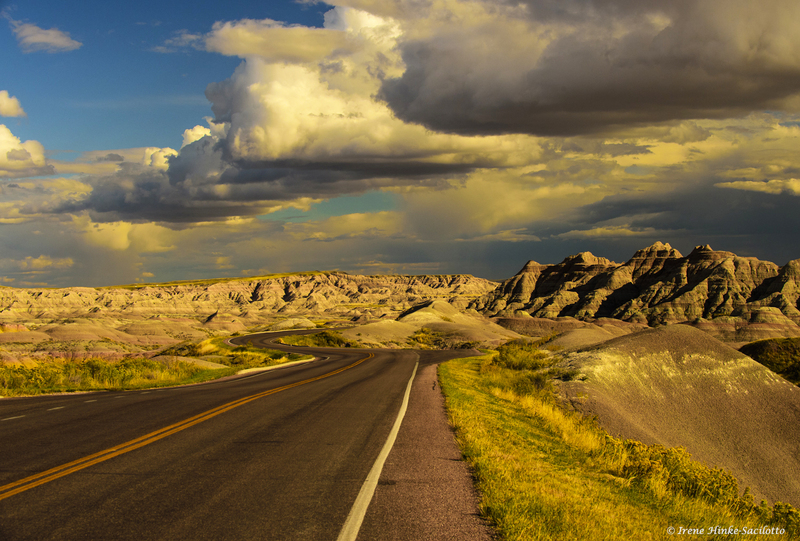 In the north unit of the park, there is a thirty-mile scenic loop road that meanders past unique geological formations. Along the way, there are convenient vehicle pull-offs, overlooks, and trails to explore. At first glance, the land seems sterile, dry and wind-swept. Yet close examination reveals a variety of creatures including 39 mammal species. Bighorn sheep, pronghorn antelope, mule and white-tailed deer, bison, prairie dogs, coyotes, badger, jack-rabbits, cottontails, thirteen-lined ground squirrels, chipmunks, and fox squirrels make this park their home. If lucky, you might even spot the rare black-footed ferret, a species reintroduced into the area. 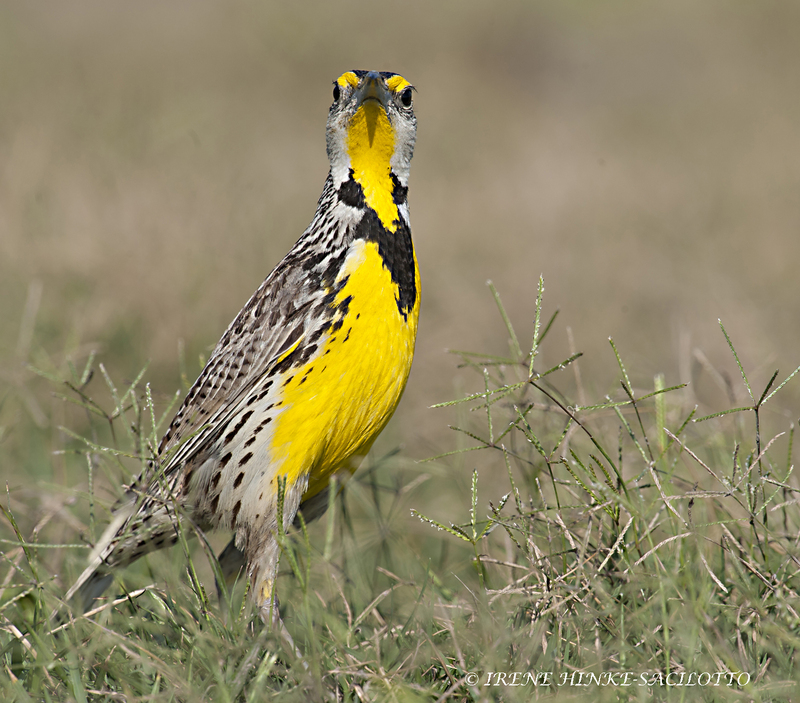 Birds include hawks, eagles, magpies, meadowlarks, northern flickers, sharp-tailed grouse, turkey, and pheasant, just to name a few. 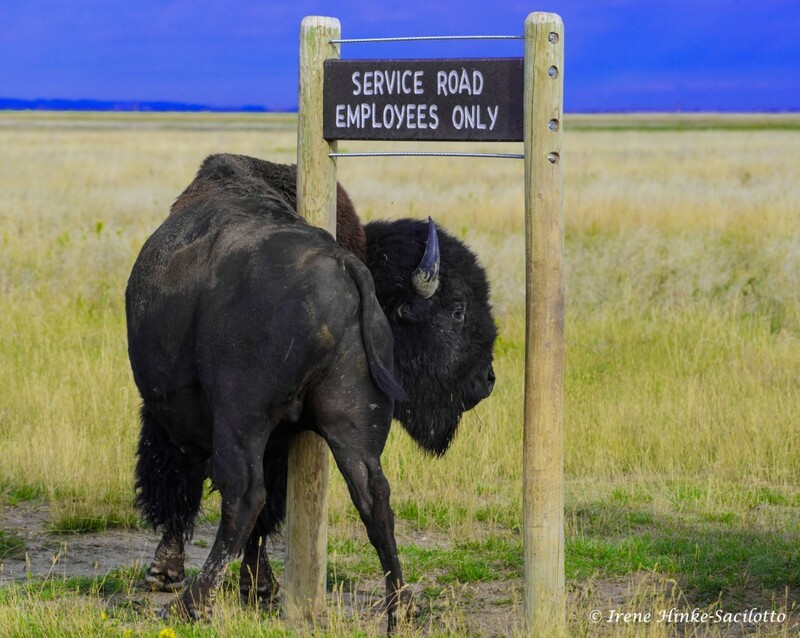 Wildlife can be easily spotted from the road and are not as timid as elsewhere, due protection by the park service. Search picnic areas and campgrounds for photo opportunities including local free-loaders, such as magpies, squirrels and other foraging animals looking for food scraps and handouts. 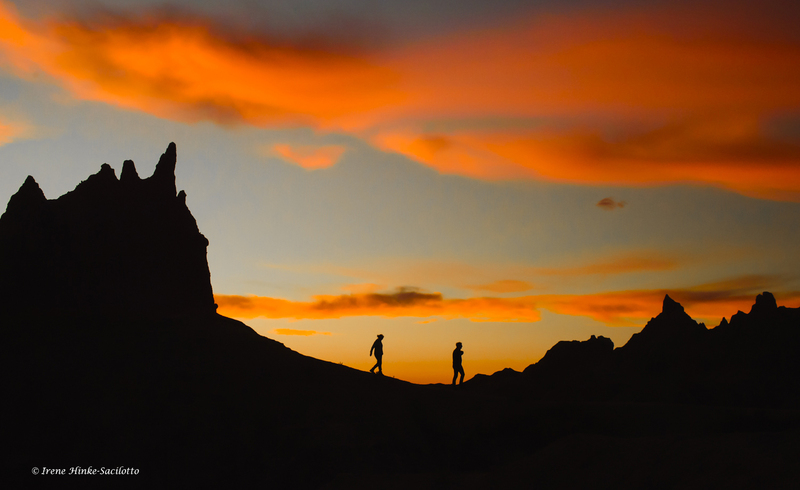 From the town of Wall, it is only a short drive to Pinnacles Overlook, a favorite of visitors for sunrise and sunset photography. Watch as the light slowly creeps across the landscape, illuminating and darkening sandstone formations in the distance. As you head east from Pinnacles Overlook towards Dillion Pass, the loop road travels through some of the most dramatic landscapes revealing yellow mounds in the foreground and jagged peaks behind. At Dillon Pass, you can take the Conata Road south through Buffalo Gap National Grasslands, a tiny remnant of the prairie that once covered huge expanses of land in North America and Mexico. 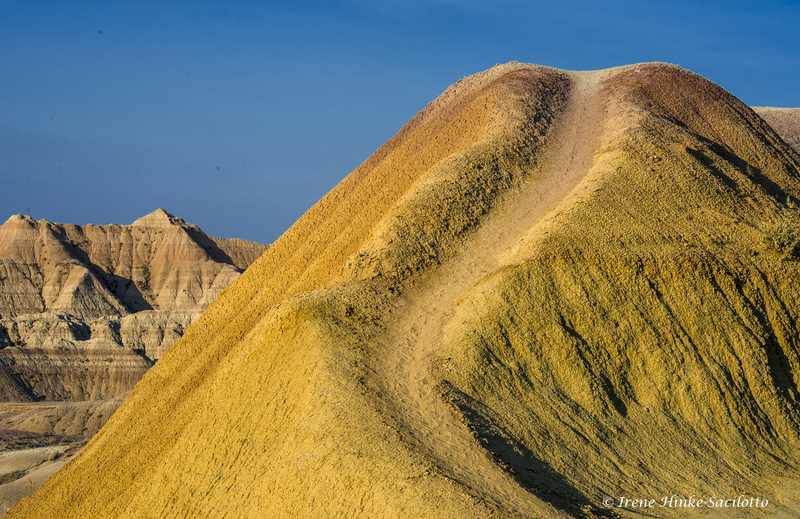 If you climb east on Badlands Loop Road, you will reach Rainbow and other overlooks for great opportunities to photograph the “wall” that separates the lower and upper prairies. At every turn along the road, the topography changes, offering even more photo ops. Storm clouds can add drama to your photos filling up an empty sky and casting shadows across the landscape resulting in alternating patterns of light and dark. Black-tailed prairie dog towns can be found throughout the park and their occupants are among my favorite subjects to photograph. During our recent scouting trip, we determined one of the best colonies for photography was along Quinn Rd, a dirt road running north off of the loop road where traffic was sparse and there was little disturbance. Here the prairie dogs were more tolerant and allowed us to photograph them at eye level from outside of our vehicle. It was nearly impossible to predict which animal was going to pop out of its burrow and “bark” an alarm call. For the best chance of capturing one barking, carefully observe the colony looking for individuals that seemed more vigilant and concentrate your attention on them. Since the alarm call suggests the presence of danger, be on the lookout for coyote or other predators nearby. There are a number of trails that you can explore throughout the park for unique photo opportunities. They vary from easy to strenuous in difficulty. Always carry plenty of water. Take time to stop in at the Ben Reifel Visitors Center to learn more about the park, check weather forecasts and ask rangers for up-to-date information on recent wildlife sightings. Don’t skip Sage Creek Rim Road, a well-maintained dirt road heading southwest and accessed just after the Pinnacles Entrance to the park. Beautiful vistas abound as you glance left (south) near the roads entrance. 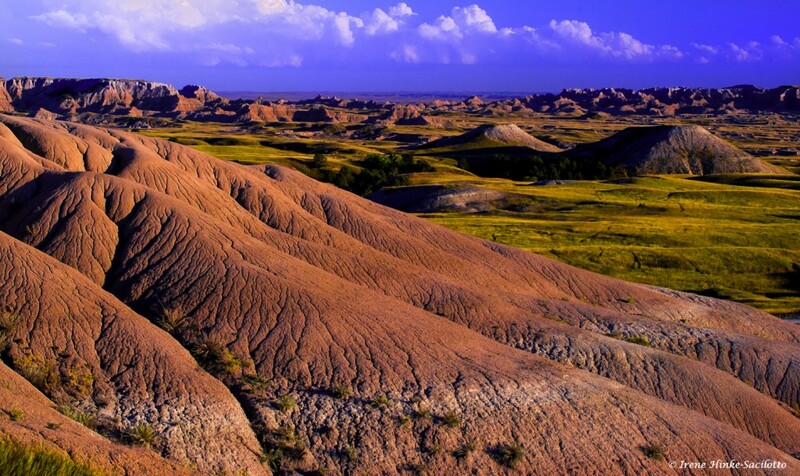 Rust-colored mounds with deeply furrowed patterns dominate the foreground. In the setting sun, they almost glow red with the reflected warm light. 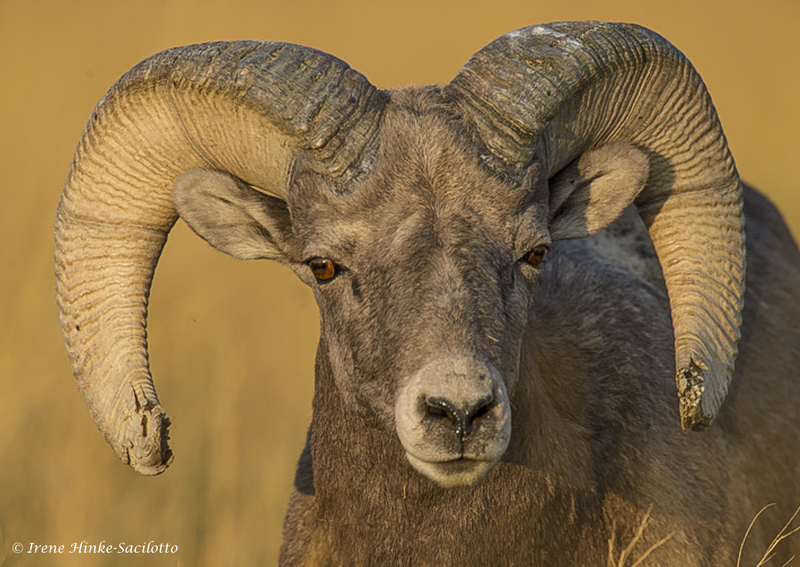 Check out the areas with prairie grasses and browse for bison, antelope and bighorn sheep. At dawn, you may be able to silhouette one of these animals on a ridge against the rising sun. 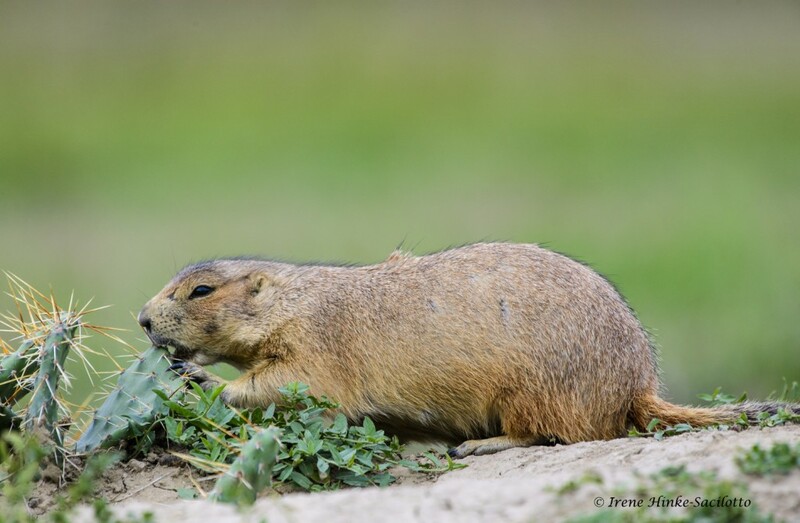 Roberts Prairie Dog Town is a popular stop to see prairie dogs. Often an abundance of visitors fright them back into their burrows making this location not ideal for photography. I suggest looking farther down the road for better opportunities. 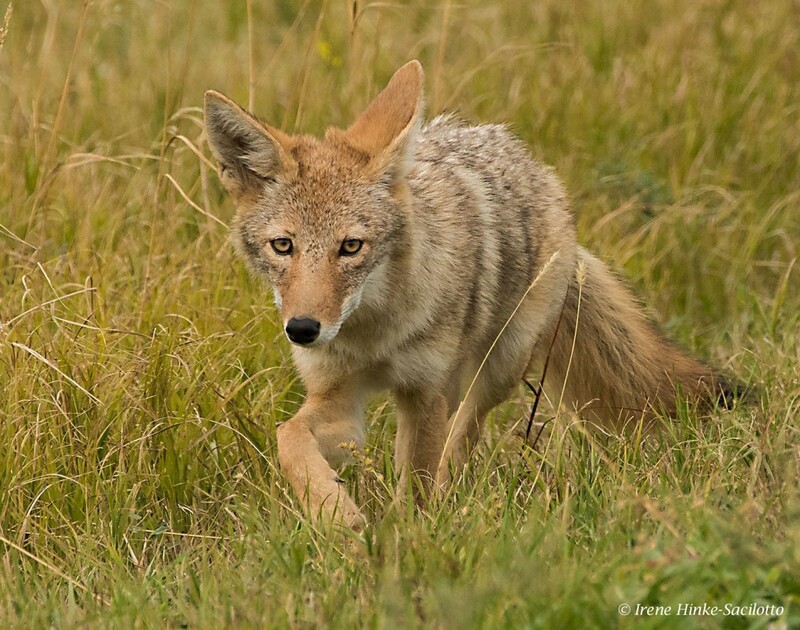 On the fringes of the colonies, look for coyote and badger which sometimes hunt as a pair. Also check out woody draws where there is enough moisture to support shrubs, trees, and other plants. These sheltered areas are often havens for fox, deer, rabbits, squirrels and other wildlife. In autumn, these groves of trees add a splash of color to the dry landscape with leaves of yellow and gold. Be careful when stepping off trails. Burrows and prairie rattlesnakes might be concealed beneath the grass. Wear sturdy boots to negotiate uneven terrain and protection against cactus spines. Make note of where you commonly see animals and check these locations on subsequent trips past the area. 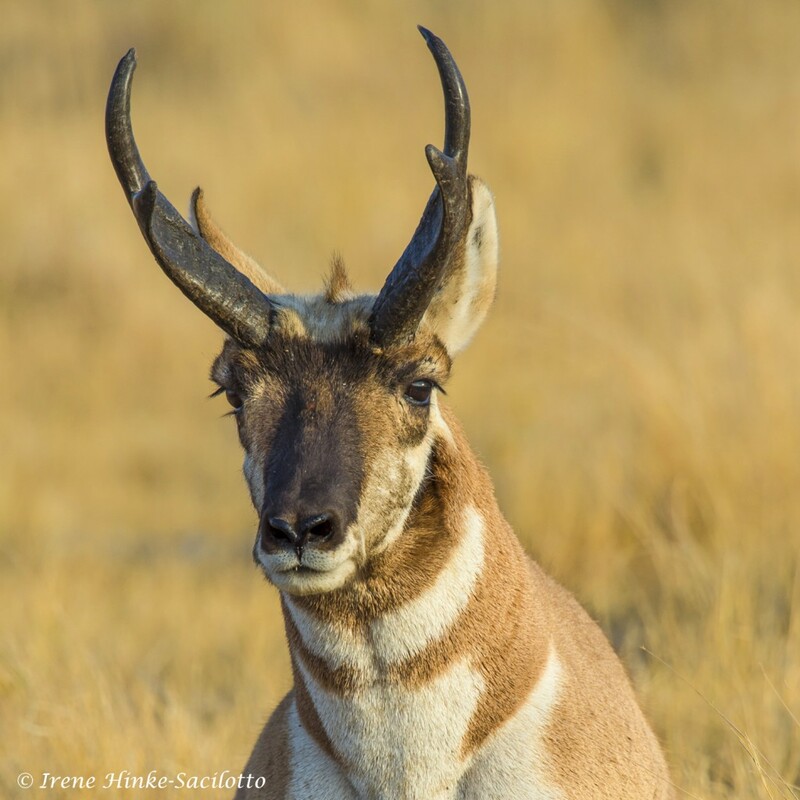 Photographing wildlife often relies on the animal accepting your presence as non-threatening. That means patience is important. Stalking tips: Move slowly, emulate their behavior, stop periodically, take an indirect route to close the distance, assume a low profile, and avoid direct eye contact. Minimize loud noises, perfumes, or anything not typically found in their environment. Camouflage clothing can help you merge with the surroundings and avoid curious human on-lookers from approaching you. When photographing, make sure you do not disturb the animal’s behavior. If it reacts, stop and wait before resuming your approach. Curiosity may even bring them closer to you. Never block an animal’s means of escape or stand in their path. Just because they are in a national park, wildlife is unpredictable and can be dangerous particularly if traveling with young. Obey park regulations. Don’t feed wildlife. Sturdy tripod mounted with a ball or gimbal head.